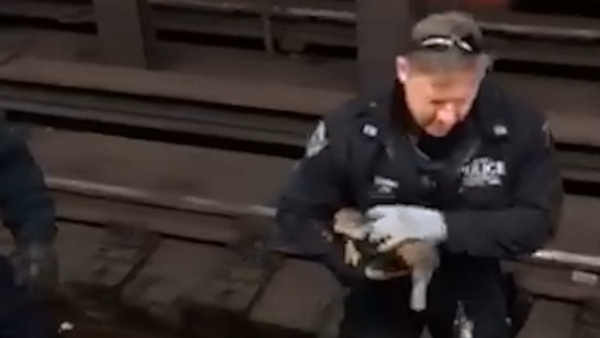 BUSHWICK, Brooklyn (WABC) -- Commuters are probably used to seeing debris on the subway tracks, but a duck is a different story. That is what some riders witnessed Friday morning in Brooklyn. They called police to the Jefferson Street subway station on the L line in Bushwick. The duck had wandered into the station and onto the track area. Two ESU detectives went down on the tracks, rescued the duck, and then brought it above ground and released it in nearby Highland Park near the reservoir.